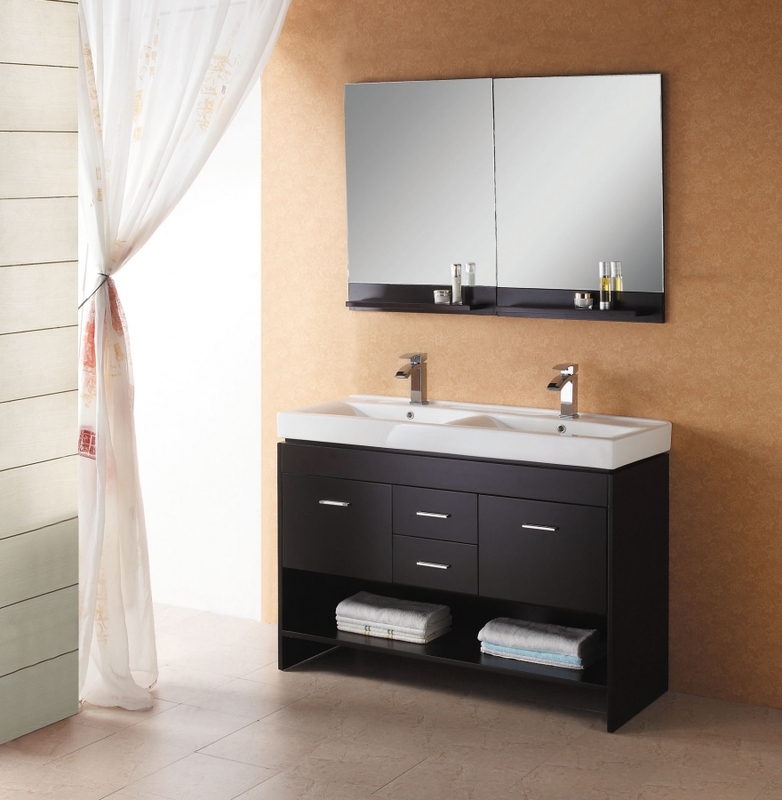 One way to make your bathroom look bigger is to install a vanity that makes use of an open design. For example, this modern double sink bathroom vanity employs the use of an open shelf for storage. 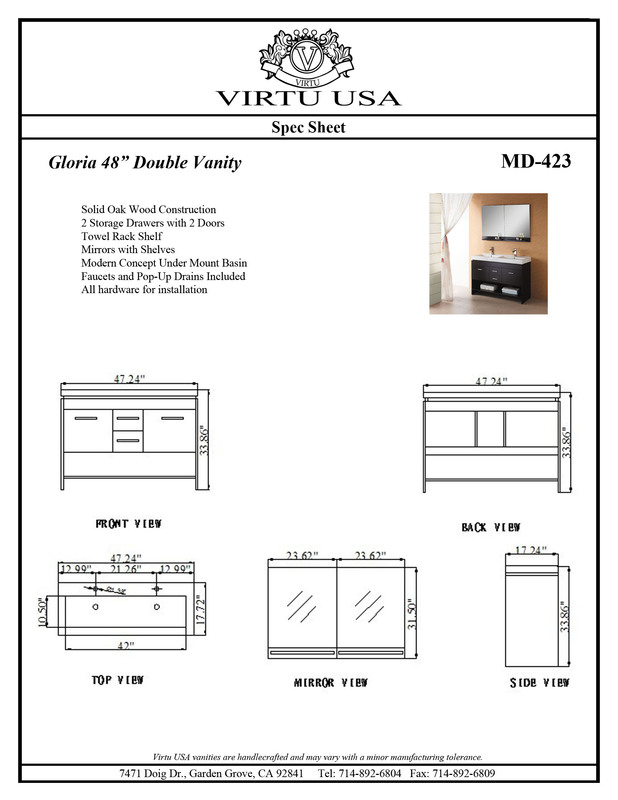 Matching mirror included (47" X 31" X 5"). Your organization is awesome! the customer service is excellent and is what most companies should strive for! Thank you for an excellent product, price, delivery, follow up and service. 5 Stars!!! Q: Does this vanity arrive assembled? A: The base cabinet is assembled but there will be some light assembly attaching the top/sink and of course the faucets.